Jordan Mailata was relaxed back in Sydney. The Eagles' plan to get him there? More weight. "I've put on a fair bit. My playing weight - they (the Eagles) want me at 360 (pounds, or 163kg)," he told ESPN. 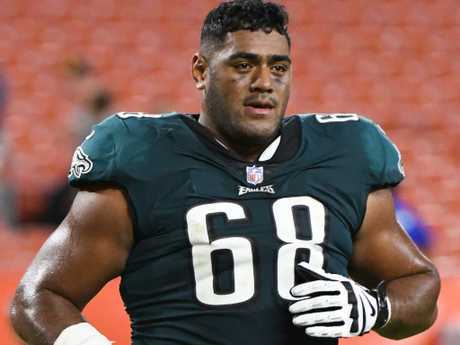 "I just reflect on how far I've come and just look at when I started, what I had and what I've learned," Mailata said. "It's a big credit not just to myself but also the people that were in my corner, down to the coaches and my fellow peers. 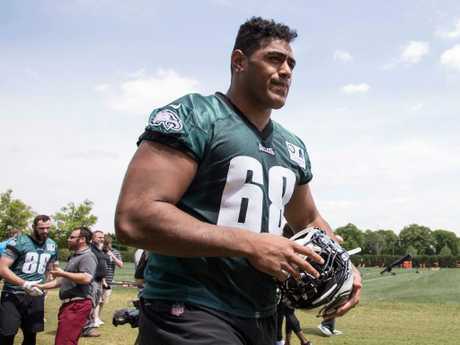 Already a big man, the Eagles want Mailata to be huge. "You know I could walk through the doors and they could easily be like 'oh this is a rugby guy. What do you think you're doing? Is he crazy?' You know they could just toss me out on the street, but they welcomed me with open arms and I think every day they challenged me to get better and I developed and adopted that mindset. "So it helped me progress further and further every week and challenged my mindset because, you know, it was tough. It wasn't easy. Such a long road. "You know, it just makes you appreciate the opportunities that I had." 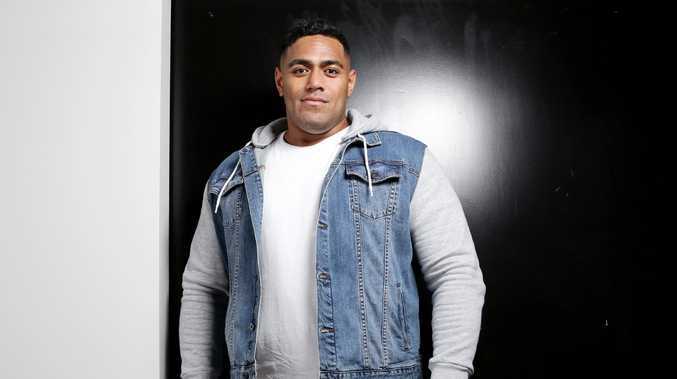 The plan was always to target 2019 with Mailata labelled a "long-term project". Mailata has been tipped to be big on and off the field. The Philadelphia Eagles website reported at the time "the rookie season for one of the league's most fascinating draft picks is over". "I guess when I got put on Injured Reserve I learnt a lot about myself and my limit to what I can handle just overworking myself," he said. "So I guess as a rookie you feel pressure to just keep working and keep working and that's one thing that this year just to know where your limit is and it's okay to not look like you're slacking off. Know your limit. "I guess having one year under my belt now certainly gives me a level of confidence going into next season and now that I feel very confident in myself. And then knowing the playbook, you know the coaches want somebody they can trust in the field. So the more time and more work that you put in the more you can get out of it." Mailata is hoping for more snaps next season. 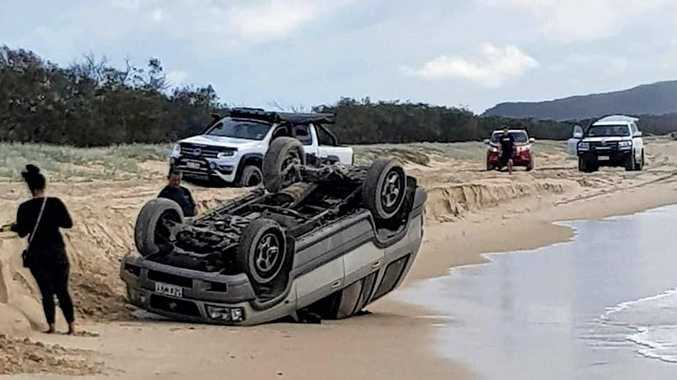 One particularly brutal moment from his first fortnight training on US soil stood out for Mailata as his "welcome to America" moment. "I remember it was training camp, week two. 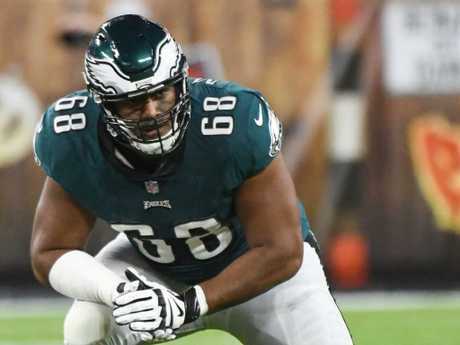 We were doing a drill where it was one-on-one," Mailata recalled. "I rose way too high and exposed my chest … I just got bullrushed. Helmet to the face and put on my a***." "His name was Steven Means - he just got contracted again with the Atlanta Falcons." Mailata learned very quickly that technique is everything. He remembers "everyone making a big deal" of his knockdown, which came from the comparatively minuscule (1.9m) Means. "It didn't trouble me or worry me. I said 'I'm going to learn from this'. He told me 'you come up too early, I knew you'd be playing on your tippy toes so I just tried to bull you because that's the best move'. "By the end of the training camp … I wasn't getting bullrushed anymore."